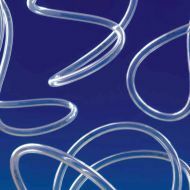 Ideal for virtually any permanent or temporary chemical transfer application, Versilon™ R-3400 Tubing combines suppleness and flexibility with resistance to a wide range of chemicals. It shows exceptional resistance to strong acids and many alkalies. The flexibility of Versilon™ R-3400 Tubing makes it quick and easy to put into service, providing considerable savings on installation time and cost when compared with rigid piping systems. Black in colour, Versilon™ R-3400 is resistant to ultraviolet light, ozone and weathering, making it ideal for many outdoor applications. 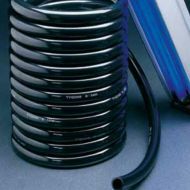 Standard inventoried sizes of Versilon™ R-3400 Tubing have sufficient wall thickness to block transmission of all UV light. 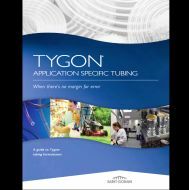 Tygon S3 E-3603 Laboratory Tubing combines all the properties of R-3603 with a new DEHP phthalate plasticiser free formulation. 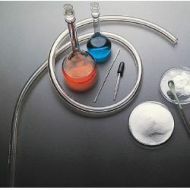 Crystal-clear and flexible, Tygon R-3603 Laboratory Tubing handles virtually all inorganic chemicals found in the lab. It is non-oxidising and non-contaminating. 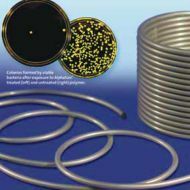 Long-lasting and crack resistant, Tygon R-3603 is less permeable than rubber tubing. The Glassy-smooth inner bore helps prevent buildup so that cleaning is facilitated. 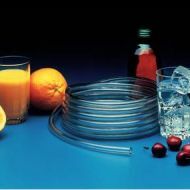 Our rigidly controlled manufacturing process makes Versilon™ Tubing the flexible polyurethane tubing that has consistently tight tolerances from lot to lot. 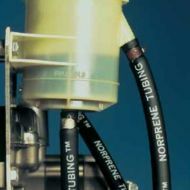 Made of a tough, ester-based polyurethane, Tygothane® Precision Polyurethane Tubing’s clarity, high tear strength and excellent abrasion resistance make it ideal for many applicatins, including fuel and lubricant liners, pneumatic lines, abrasive product transfer and cable jacketing. It also offers exceptional resistance to oils, greases, fuels and many chemicals. Able to withstand rugged daily use, Versilon® C-210-A is able to withstand rugged daily use: it resists weathering and can be safely used in temperatures ranging from -100F° (-73°C) to 175°F (79°C). 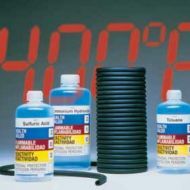 Specifically designed to handle most fuels and industrial lubricants, Tygon® Fuel and Lubricant Tubing resists the swelling and hardening caused by hydrocarbon-based fluids. 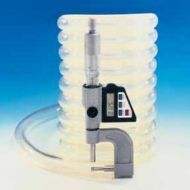 This significantly reduces the risk of failure due to cracking and leakage. 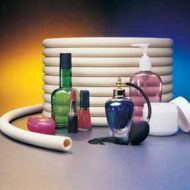 Its minimum extractability safeguards the liquid or vapor being transferred against adulteration. Because it is extremely flexible, Tygon® Fuel and Lubricant Tubing simplifies instalation, even in tight places. It is translucent yellow for positive identification and to allow easy flow monitoring. 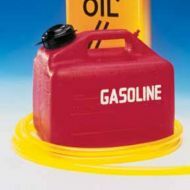 It is routeinely used to handle gasoline, kerosene, heating oils, cutting compouns and glycol-based coolants. 1-foot (30.4 cm) intervals for easy measuring.